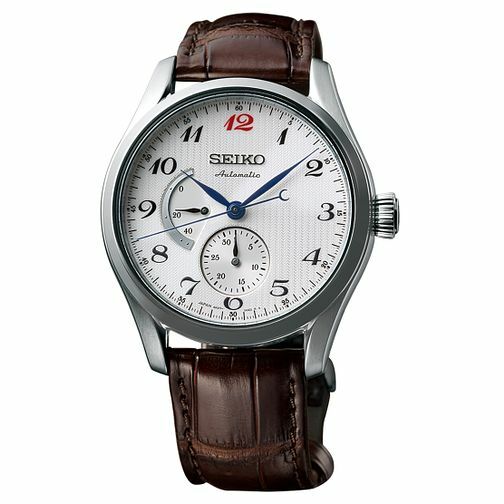 This stylish watch from Seiko features a calibre 6R27 movement housed in a stainless steel 40.5mm case, with a crisp white dial, bold numerals and two sub dials. From their very first watch in 1913 to the very latest creations of today, Seiko have continuously honed their skills, increased the precision of their manufacturing and developed new ideas and components in their own unique Japanese style. The source of their strength is their craftsmanship. For the purists who appreciate the finest watchmaking, we proudly present Presage. Seiko Presage Men's Stainless Steel Strap Watch is rated 5.0 out of 5 by 1.